When it comes to transforming your passion for pooches into starting your own dog walking business it can be hard to know where to begin. But with the right level of motivation and knowledge, it is possible. Think not? Maybe the below stories will give you paws for thought! Here, two businesses at different stages give us the low down on what’s really involved and share their personal advice on how to start a dog walking business. Lachlan King has always had a passion for animals and always dreamed of working with them. Three months ago, he turned his dream into reality by starting up his very own dog walking business, Officially Canine. 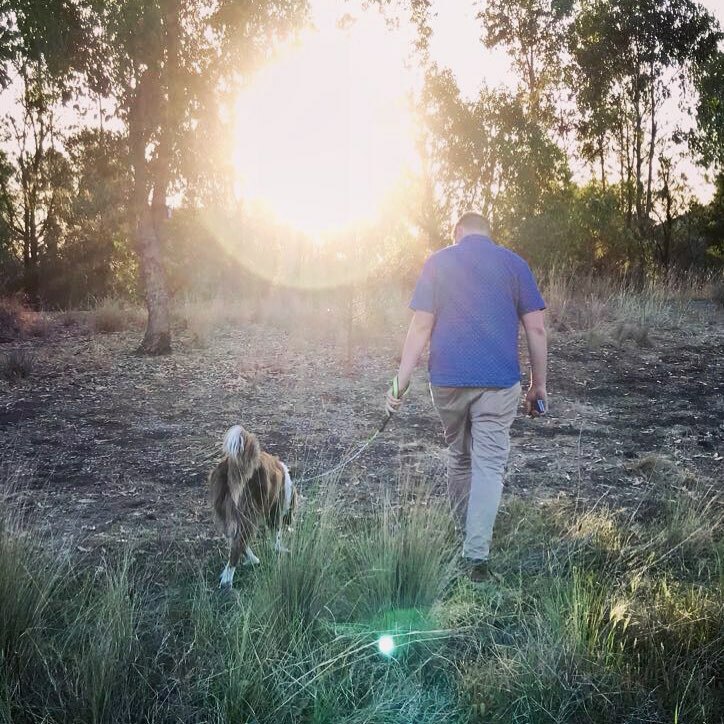 Prior to setting up his dog walking business with ASIC (Australian Securities and Investments Commission), Lachlan had to think of a name, obtain an ABN and open a business bank account. He also had to learn about his tax and insurance requirements and decide on how best to invoice and market his business. “I had to do a fair bit of research to try and figure out what is an acceptable price to charge, as well as market share and any competition,” he says. Lachlan has targeted customers through a variety of ways, including letterbox drops and social media marketing. He also constantly has business cards on him and talks to everyone he sees walking their dogs in the local area. “I have repeat customers and the owners of the dogs I look after are always happy when I get back in touch,” he says. 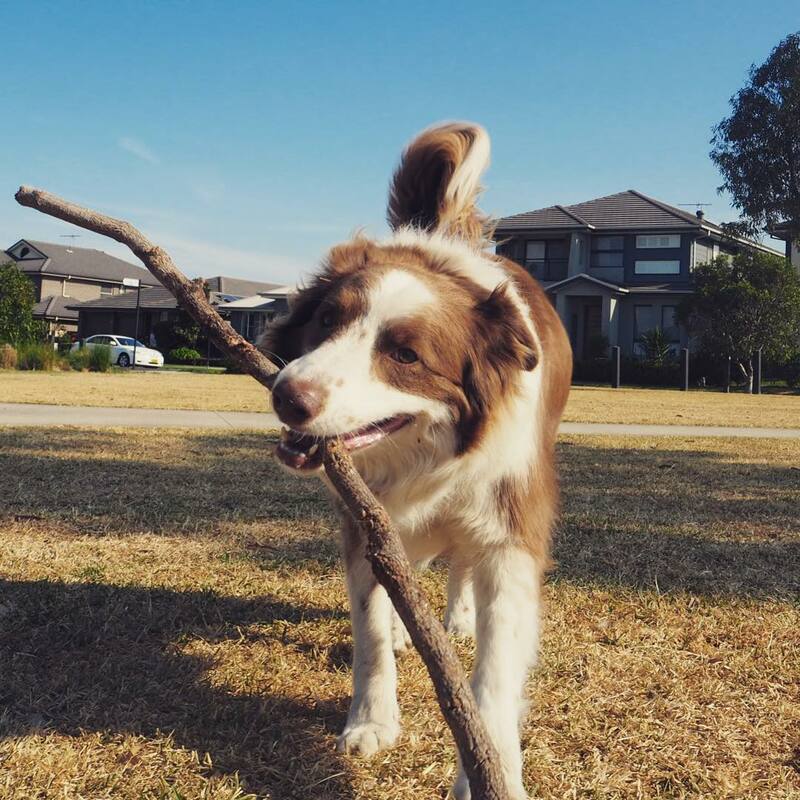 When it comes to starting your own dog walking business, Lachlan says you just need to keep going to follow your dream. Kylie Bennett established her business, Love Laugh Play, in June 2012. 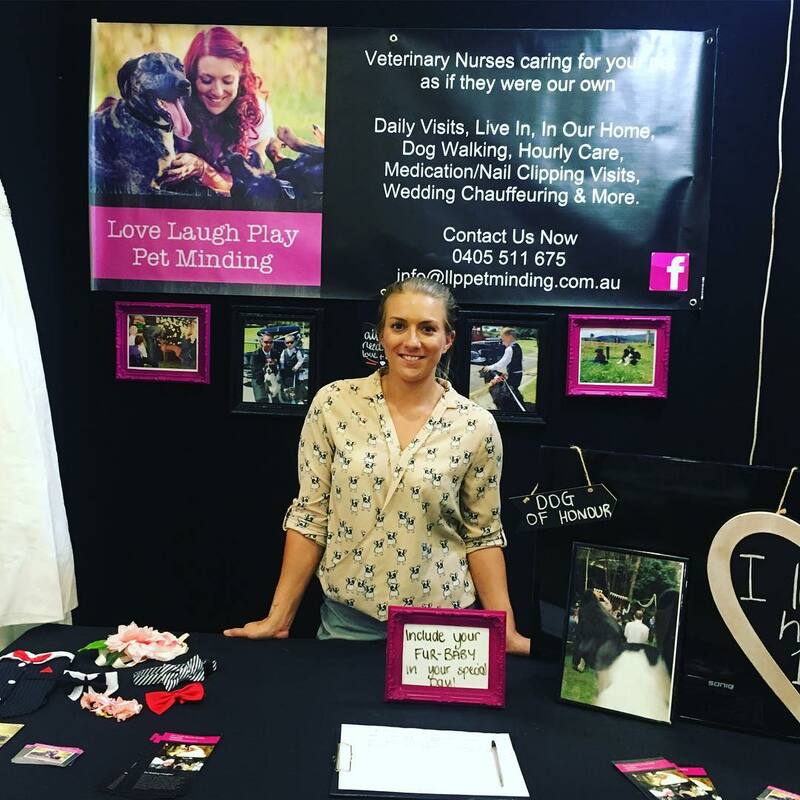 Her business incorporates dog walking and pet minding and she came up with the idea whilst working as a veterinary nurse. “I saw a lot of our veterinary clinic clients complaining about the dog kennel facilities at the time and having no one to trust to look after their fur babies,” she says. Having grown up with animals, Kylie’s always had a connection to them and always wanted to work with them. Her animal care career started with a traineeship as a veterinary nurse. “I’ve completed a Certification IV in Veterinary Nursing and completed puppy preschool and obedience class training, as well as running these for a number of years,” she says. 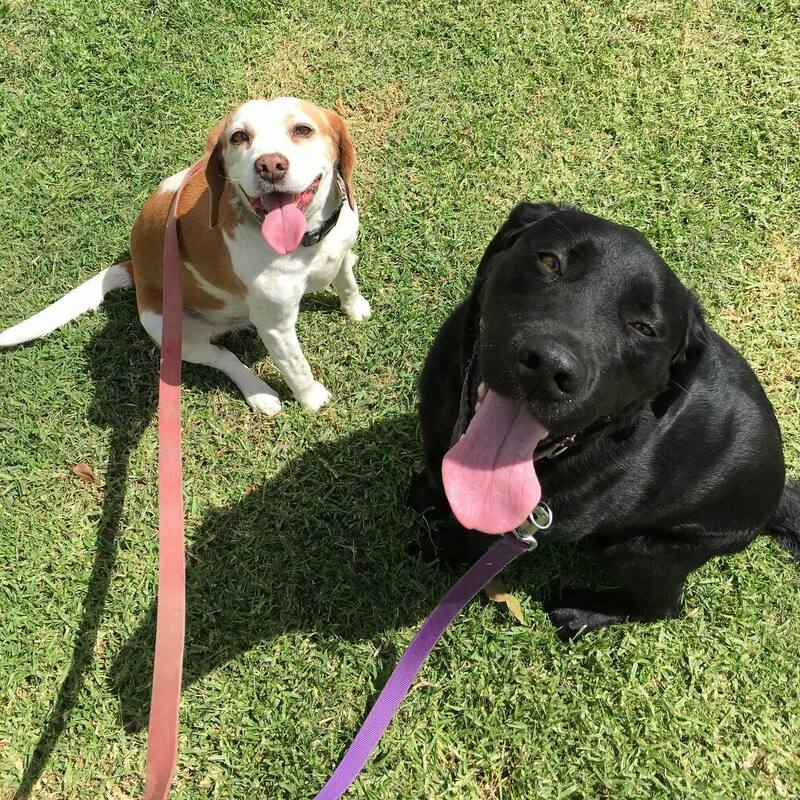 During the early stages of setting up her dog walking and pet minding business, Kylie researched what other similar services were offered in the area, what their prices were and how she could highlight her point of difference. “From there I made sure I was insured, police checked, and those that worked with me as an ‘Aunty’ were also veterinary nurses,” she says. When Kylie initially set up her business, her marketing was primarily word of mouth. As the business took off, she advertised her services by flyers within veterinary clinics and pet shops, direct marketing in mailboxes, social media and at pet and wedding expos. “We’ve also been lucky enough to feature in an array of media outlets from radio stations, TV and newspapers,” she adds. Since being established, the business has grown so much that Kylie now has a team of 15 staff working across multiple locations within Australia. “I started as just me. And then, when I was double booked, I’d get one of the nurses I worked with to cover the other booking,” she says. The growth of the business has also led to other services being added. 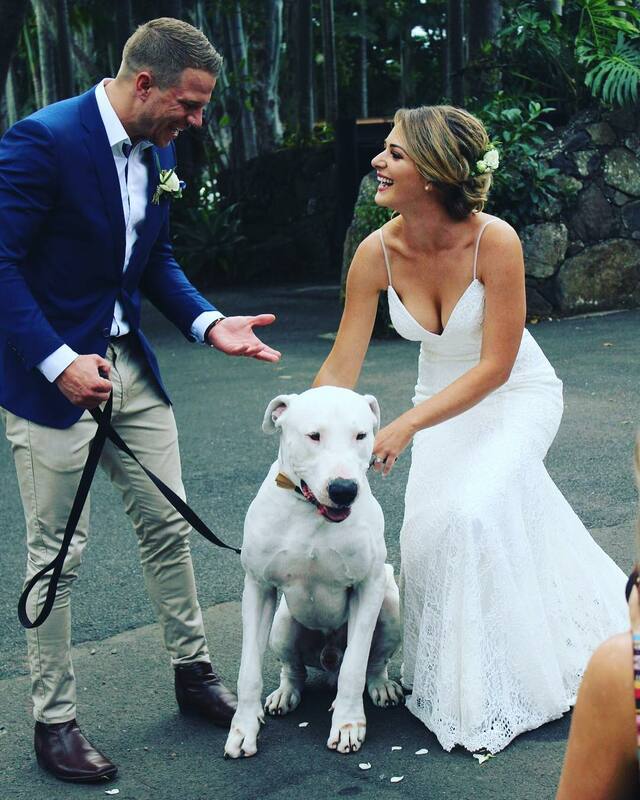 “I had a friend ask me to assist her in surprising her husband at their wedding by walking their three dogs down the aisle before she arrived,” says Kylie. Kylie says that the best benefit of her job is that she’s doing what she loves. “You can't go wrong if you’re spending time with animals and getting paid,” she says. She notes that you need to be prepared to research, lose sleep and make mistakes. Similarly, you need to be committed to always having your phone on you, and be prepared for not always being able to go to that party or attend an event on time. “This is particularly relevant at the beginning of your business,” Kylie says. “If you really want it to succeed, you will need to make sacrifices and you will need to work hard. But, is it worth it? “Absolutely,” says Kylie. For some people, a love of animals has led them to a career working with them, and it's something you could do too. Intrigued? Find out what qualifications could transform your passion into a career.